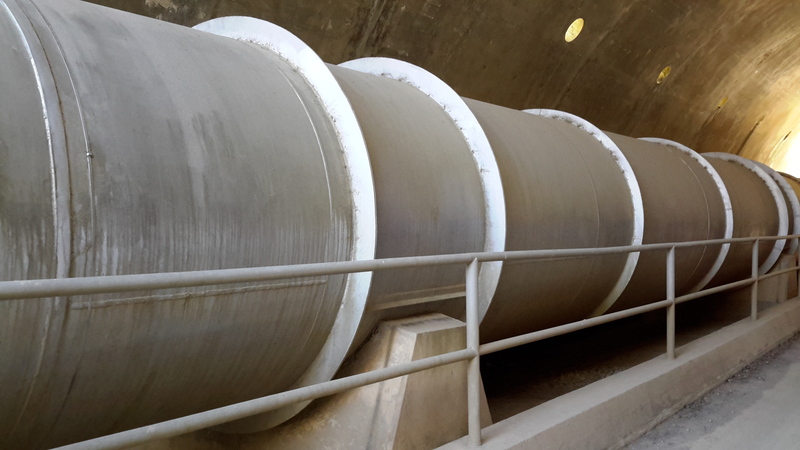 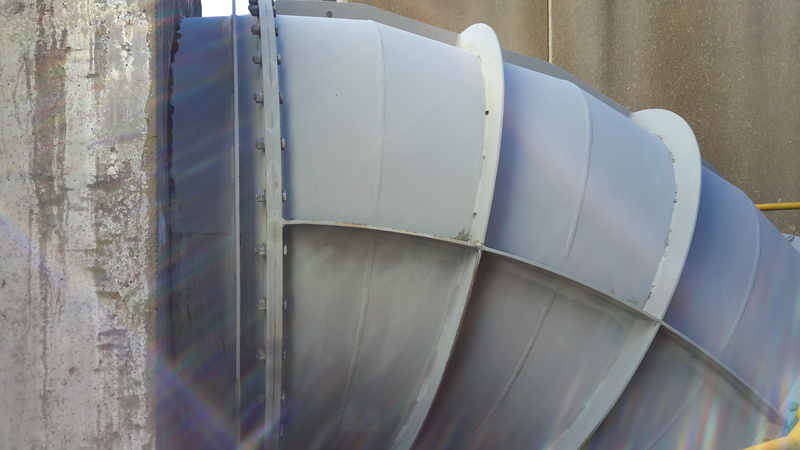 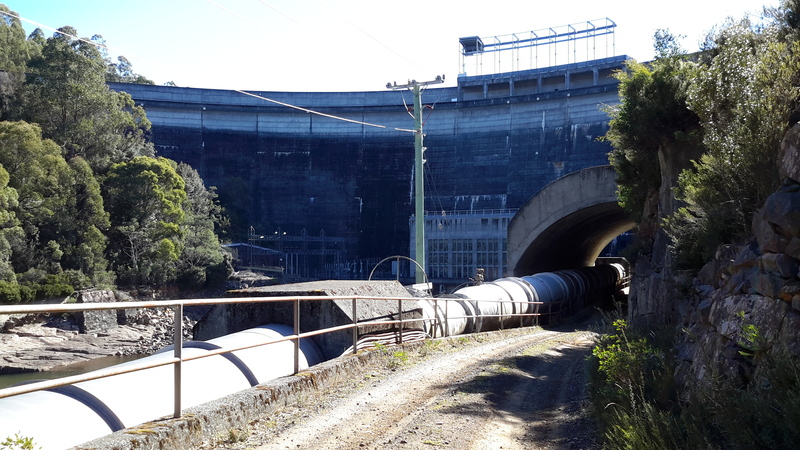 Long term blog followers will remember how impressed I have been with the engineering feats that have created the hydro electric power stations and the huge dam structures. 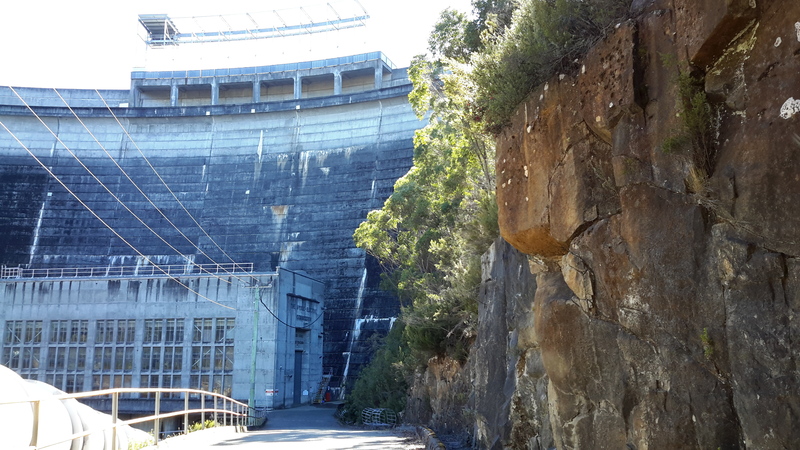 Most particularly I love their large scale geometric shapes.The following photos show close ups of Clark Dam and the Butlers Gorge Power Station, neither of which are accessible to the public. 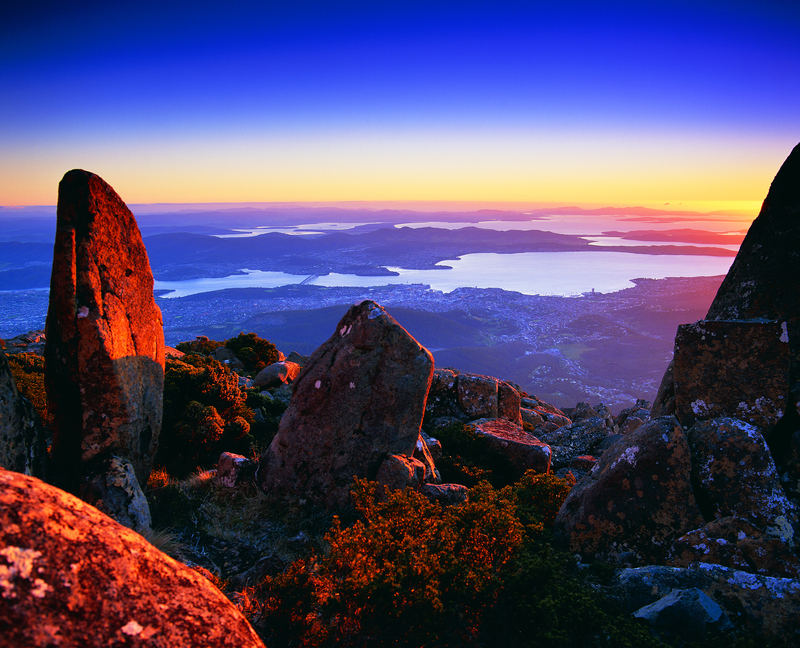 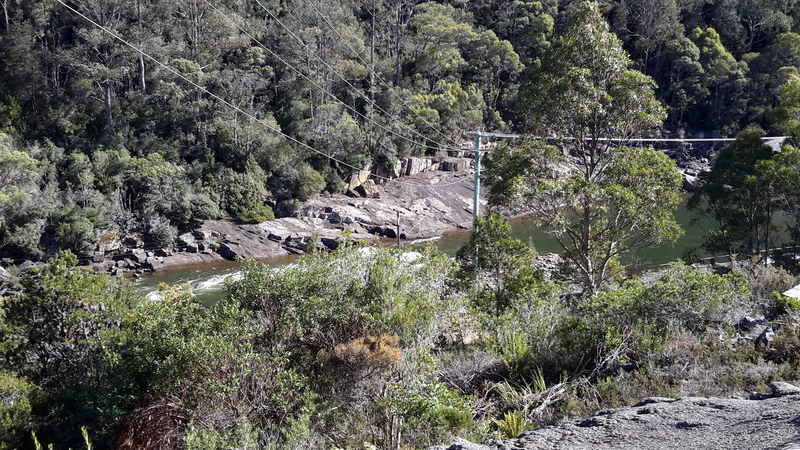 And let us not forget the Derwent River flowing ever so slightly way down below in the following images. 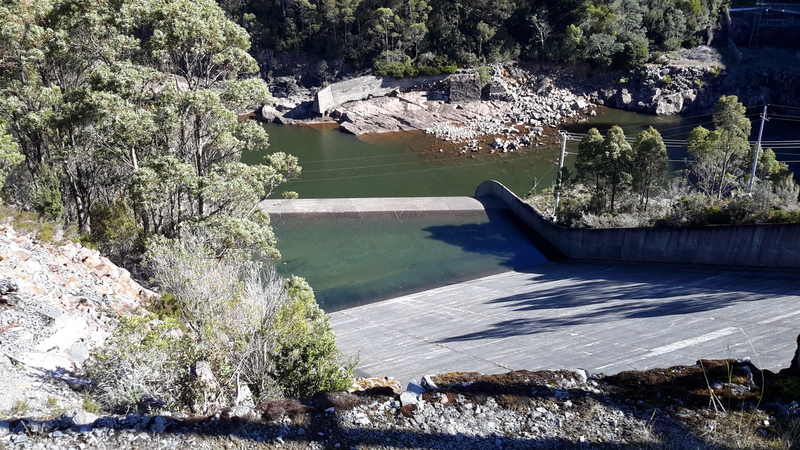 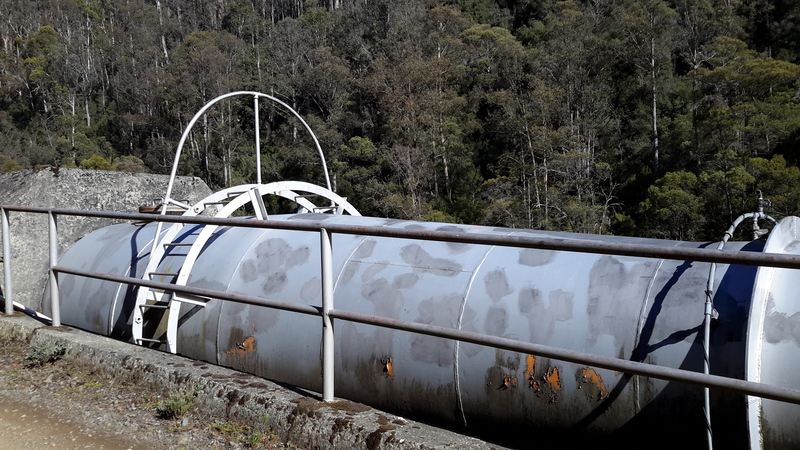 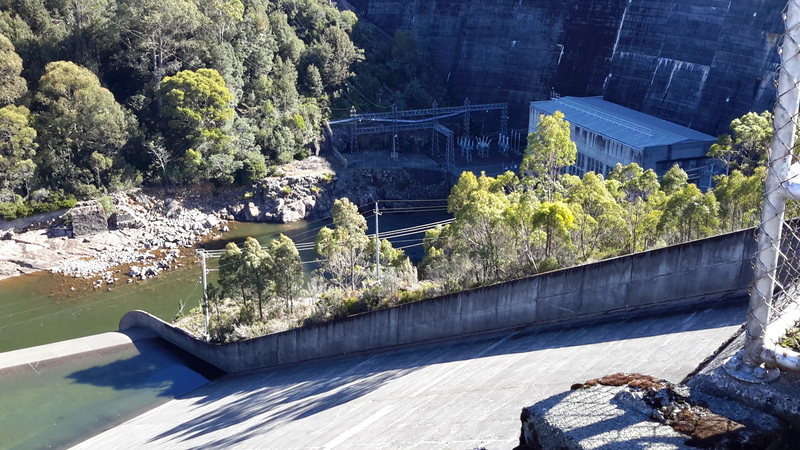 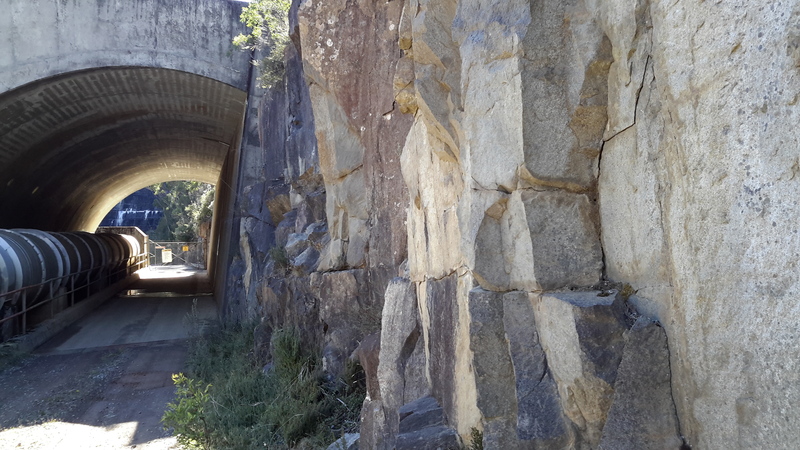 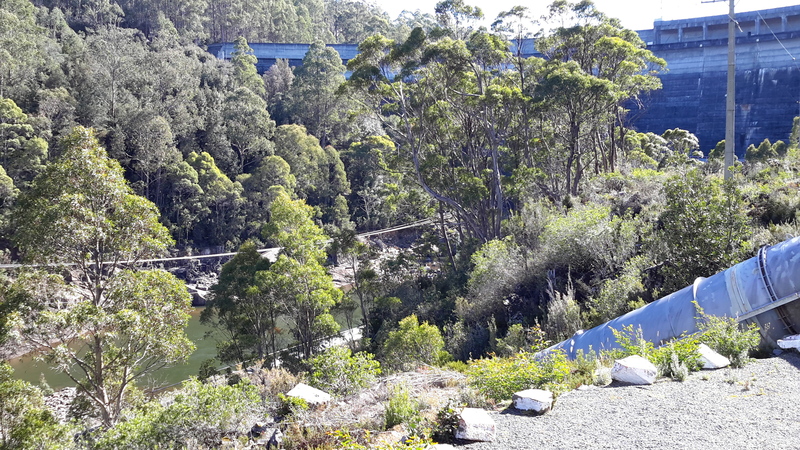 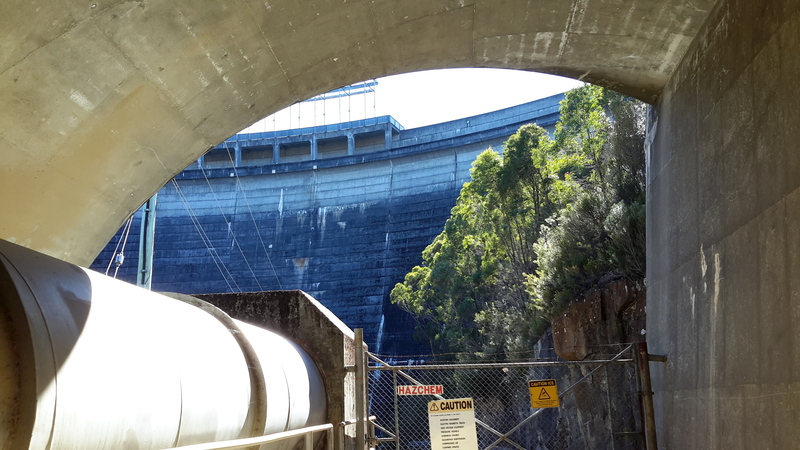 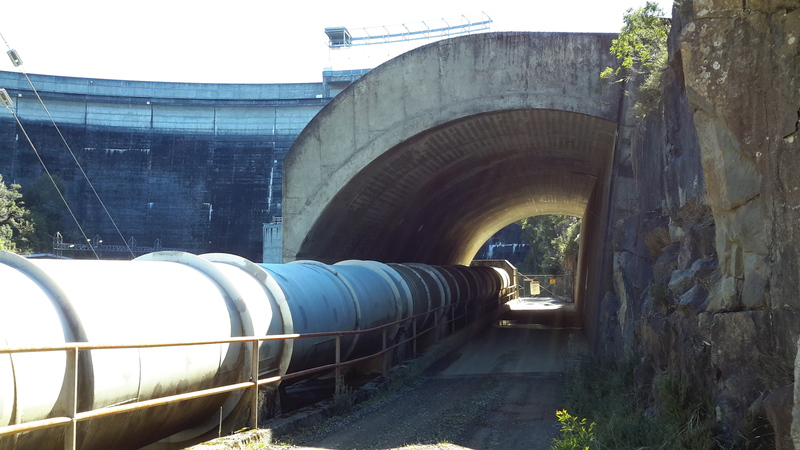 This entry was posted in Derwent River, Tasmania, Walking and tagged Butlers Gorge, Butlers Gorge Power Station, Clark Dam, Derwent River on February 10, 2017 by Tasmanian traveller.